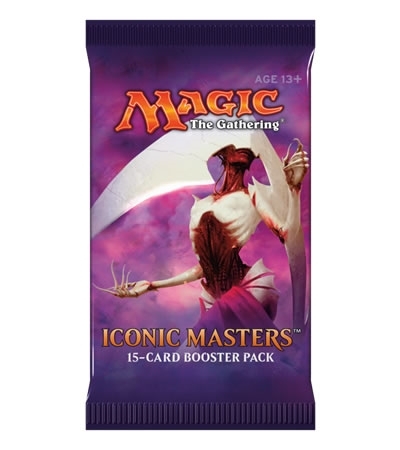 The Iconic Masters booster box contains 24 packs of 15 cards each. Take a step outside time with Iconic Masters. This exciting set lets you draw on some of the most sought-after cards from throughout the history of Magic—some with new artwork—to enhance your Cube or your favorite Commander, Vintage, and Legacy decks.